The Economic and Financial Crimes Commission (EFCC) have reportedly seized some houses in Abuja worth N4.8 billion allegedly belonging to former Minister of Petroleum Resources, Dieziani Alison-Madueke. According to the Nation, one of the mansion's seized is worth N3.58 billion. 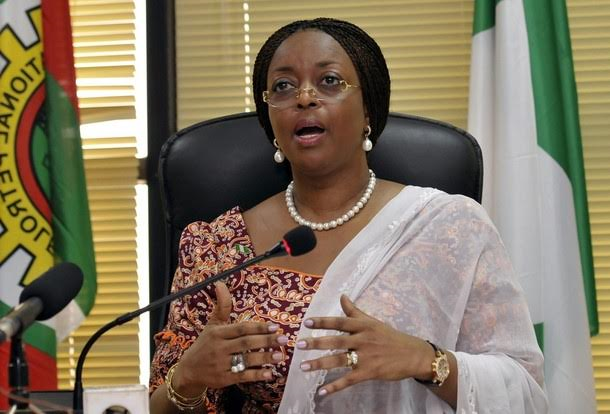 Meanwhile operatives of the antigraft agency are said to have been deployed to Port Harcourt, the Rivers State capital, to investigate the ownership of five choice houses believed to be owned by Alison-Madueke’s. The properties under surveillance in Port Harcourt are said to be worth over N3billion. One of the seized properties which is worth N500million is believed to be at Frederick Chiluba Close in Asokoro District in Abuja. The asset is now placed under interim forfeiture until the court decides otherwise,” he added. Sections 28 and 34 of the EFCC (Establishment Act) 2004 and Section 13(1) of the Federal High Court Act, 2004 empower the anti-graft agency to invoke the Interim Assets Forfeiture Clause. Section 13 of the Federal High Court Act reads in part: “The sourt may grant an injunction or appoint a receiver by an interlocutory order in all cases in which it appears to the Court to be just or convenient so to do. The NCA in the UK arrested and quizzed the former Minister and four others on October 2nd last year for alleged bribery and corruption and money laundering. Also the EFCC has interrogated three to five more suspects since the interrogation of Mrs. Alison-Madueke by the NCA. The NCA last year obtained permission from a Westminster Magistrate’s Court to seize 27,000 pounds from Mrs. Alison-Madueke and two other women.